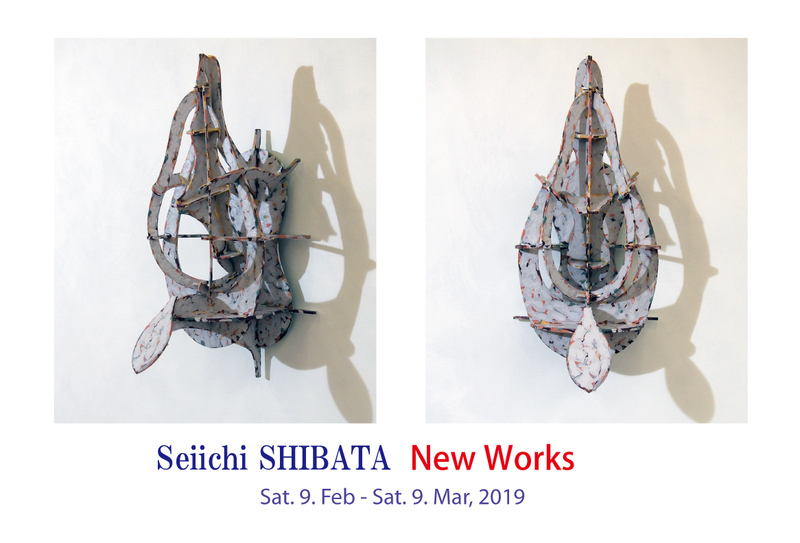 We are delighted to hold a solo show of Seiichi SHIBATA, for the fourth time at our gallery. This exhibition will see the artist’s trajectory and development with his recent reliefs and former works. We hope it will be a great opportunity to show his earnest creation aiming for the new phase of expression. Seiichi Shibata (1984-) was born in Kagawa, Japan. Having grown up in Kobe from the age of four, he studied painting at Kyoto Seika University, before obtaining a master’s degree in Sculpture at Kyoto City University of Arts. Since 2017, he has been based in Fukuoka as a new environment. 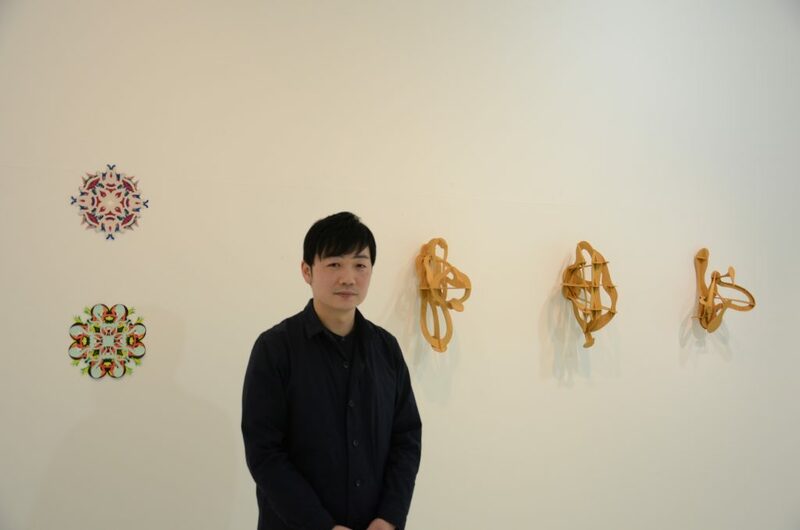 Shibata started his career with the series of <paper cutting in layers>, intending the resonance of various colors and complicating figures produced by putting a cut paper on another. 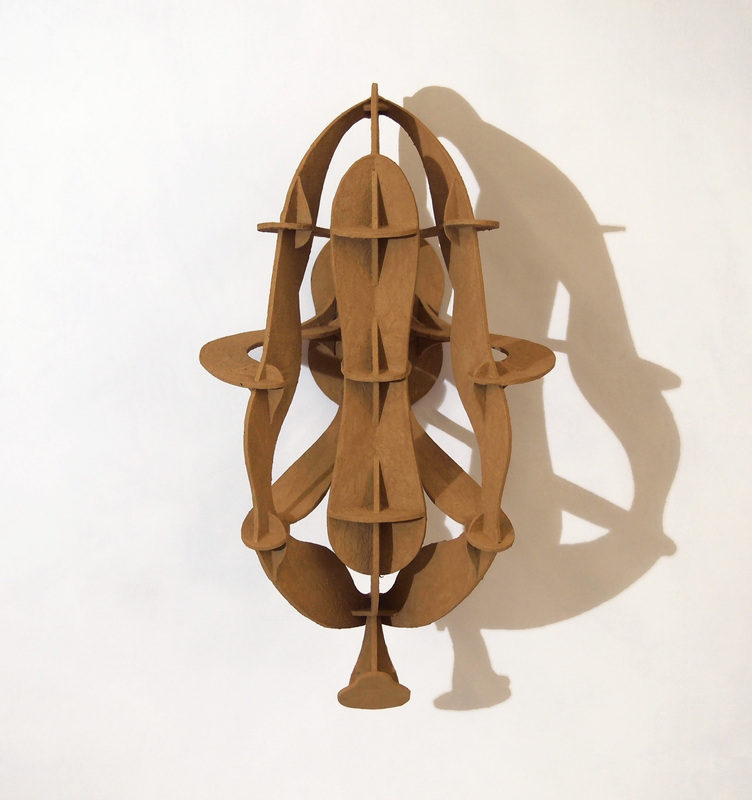 These exquisite images which evokes the inside of kaleidoscopes have gradually changed its form to the third-dimensional, including recent wooden reliefs. From 2011 to 2015, Shibata attempted to shift his focus from “hand-making” to “concept” with figurative expressions of humans, animals or landscapes. Being shocked by the news of murder in his familiar place, he started expressing the abstract theme of “evil” with various techniques such as painting, wooden-print and papier mâché. Contrary to his first intension, however, this experiment has reinforced his inclination toward hand-making as his fundamental point. Then he began focusing on “hand-making” again, analyzing each technical process. After this procedure, he exhibited the series “Untitled” in 2016 (These reliefs made of wood and yellow ocher formed the basis of his most recent work.) The figures of earthy color hung in line on the wall look like bows or tribal masks, evoking something primitive in sharpened forms. Today, Shibata has arrived at a new stage; he started engaging in art education to children after moving from Kobe to Fukuoka. The artist sees the similarity between children and himself in the behavior of “painting freely” beyond any given motifs or themes. 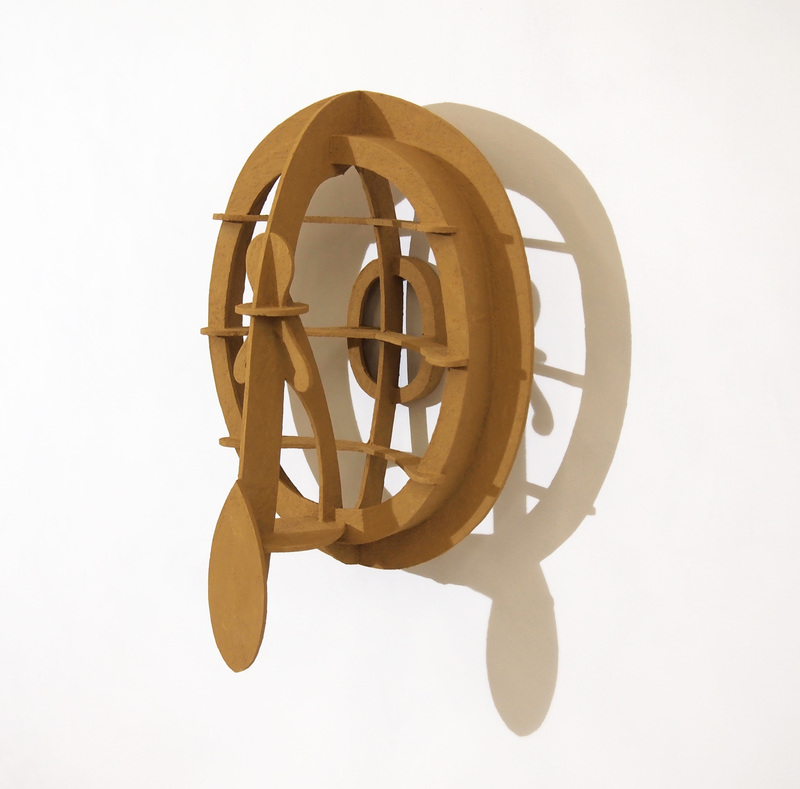 “I want to bring the act of <making> itself to light by focusing on a sequence of unconscious impulse,” Shibata says. This theme which can be related to Primitive Art is the artist’s return to his root, as well as his new challenge, which will strongly indicate the root of human’s creation.